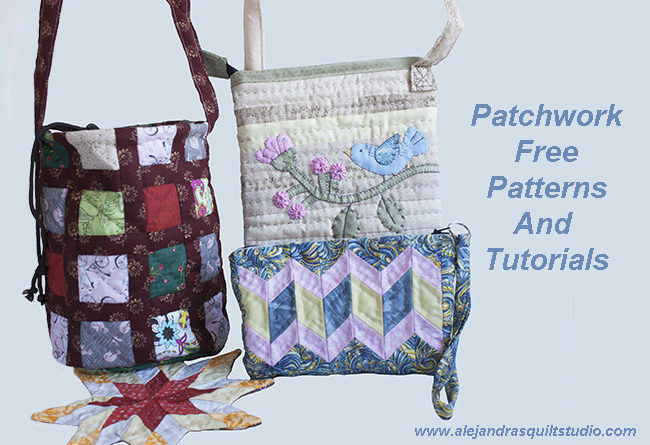 Quilting, Patchwork and Embroidery Free Patterns. 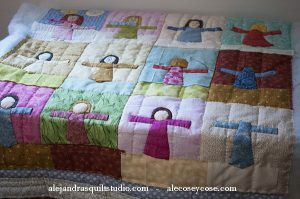 Making quilts has been one of my life passion for many years, I just love to make them, writing a blog is the perfect way to share with you some of my free patterns. 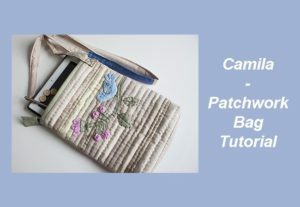 You will find here a selection of my free patterns, whether you want to make a new pouch, a baby bib, a rag doll, a pot holder, or a new few blocks for your next quilt. 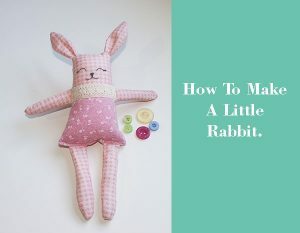 To get the full article and the free patterns, just click on the photo or on the title! 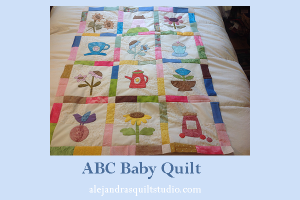 A cute and easy to make quilt for a baby. 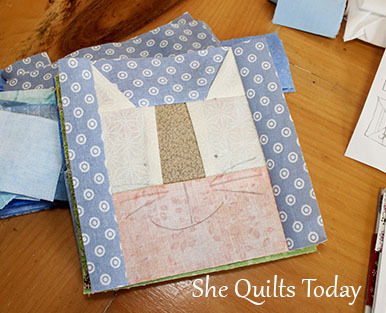 This is a full FREE course to learn how to make a Baltimore Mini Quilt and the applique. If you like these tutorials, share them! 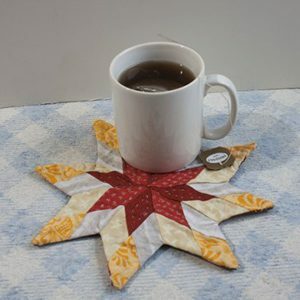 Easy tutorial to make a mug rug with the shape of a patchwork star. 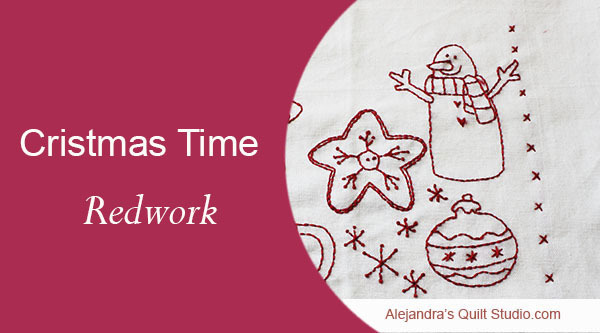 Make on time for Christmas this cute red work embroidery with a Snowman, a ginger cookie and more. Christmas Tree Mini Quilt Free pattern and Tutorial. 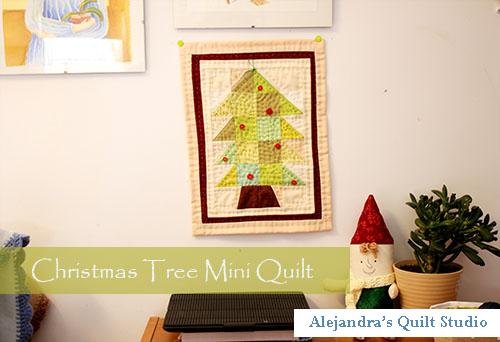 An easy to make this Christmas tree mini quilt will be one of your favorites, you can make it in one day! 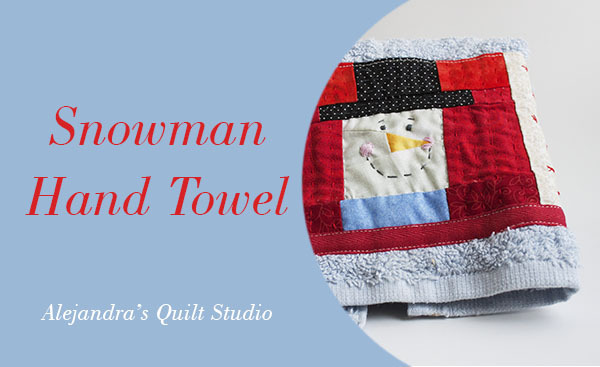 Make one, two or more of this snowman hand towel, easy to make and perfect to give as a Christmas gift. Bags are our favorites! one is never enough! 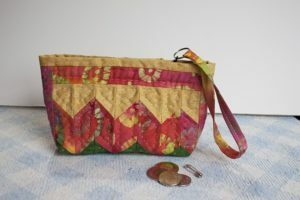 Easy and fun to make are bags made with Patchwork and Quilting. 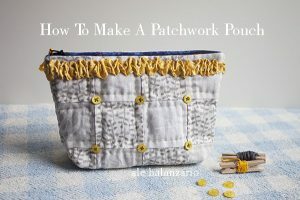 I’m happy to share with you a few of my free patterns to make a little pouch, a small bag or a tote bag, I’m sure you will make them all! 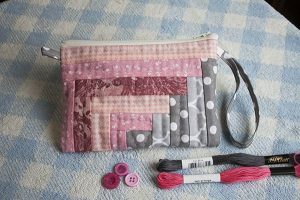 Make this cute pouch with the free tutorial, I’m sure you will make more than just one! 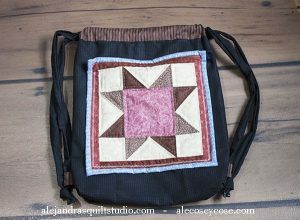 And easy and cute bag to make with easy patchwork pattern and applique. 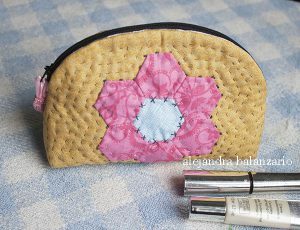 To learn how to make the hexies for the flower visit this post. 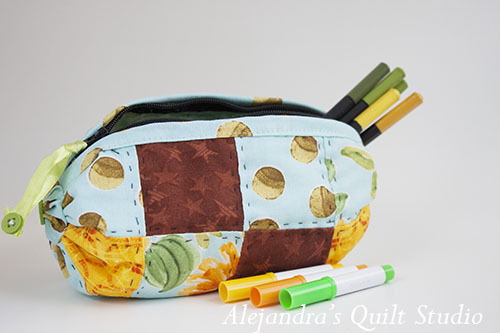 If you have a few little pieces left from your last quilted project, making this cute bag with squares and two yoyos is the best way to use all those little fabric pieces. 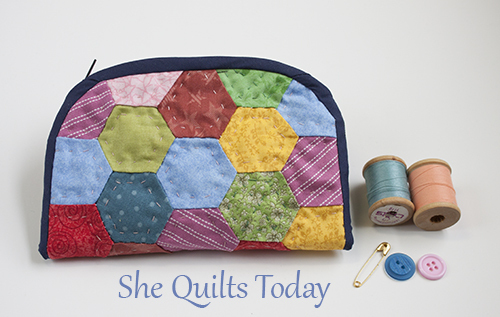 Quilted bag with squares tutorial. Make this cute little bag with squares! 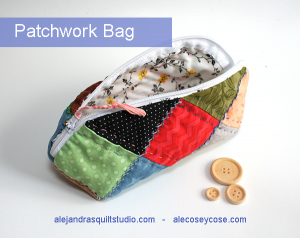 You can follow this step by step tutorial to make this patchwork bag. Baby bibs are easy to make, and they are always the perfect way to use all those small fabrics you want to save for something small and special. 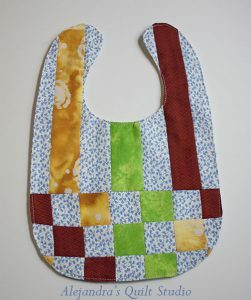 New moms and toddlers moms will love you when you make one of a few Patchwork bibs for them. Come and have fun making this cute bib, perfect to give it as a present on the next baby shower! 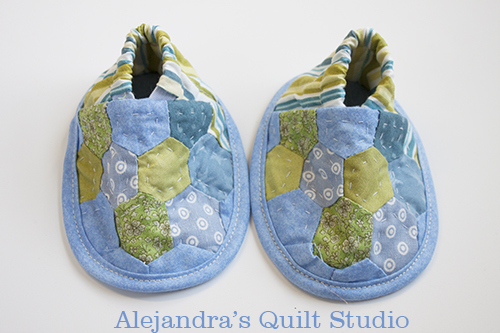 Who doesn’t love baby shoes and I must add hexies are the favorites of many quilters, when you work with these 2 together, you can make a beautiful pair of baby shoes! 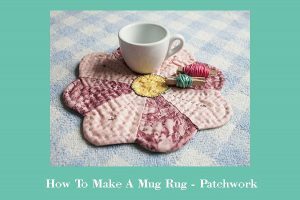 I love to make mug rugs, I’m sure you will too. 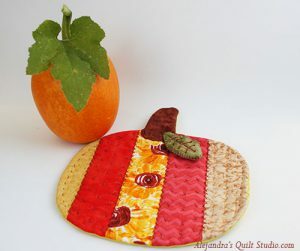 Easy and fun to make, come and join me on this tutorial to make this cute Pumpkin Mug Rug! 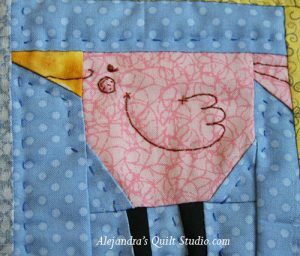 This bird paper piecing patter is so fun to make, I’m sure you’ll make not only one but many!! A house with no cat is not a home, but at least let’s make this cute kitty to add it to a quilt, to a pillow or to a mug rug! 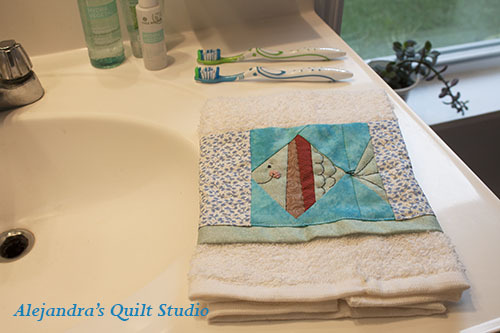 Fish Paper Piecing Pattern – Make this hand towel. Paper piecing patterns are fun and easy to make, I’m sure you will find many places to add one or two to decorate, this time I share this idea, one single fish block make this method and you will have a nice hand towel to add in your bathroom. Pinwheel is one of the favorites pattern to make a quilt, I share this time an easy and fun 5 x 5 inches block to make not one but many for your next project, they are so easy to make I’m sure you will soon make a quilt with pinwheels. Who doesn’t love this classic? I guess this block one of the first one you made when you fist learned to do Patchwork, this time I have a free pattern for you to make this 5 x 5 inches block. Many ways to say “I love you” to the person you love, and I’m sure you will agree with me when I say making a quilt it’s one more way to say it to people you love. 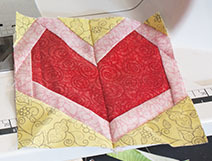 Make as many times this cute paper piecing pattern to make this heart! 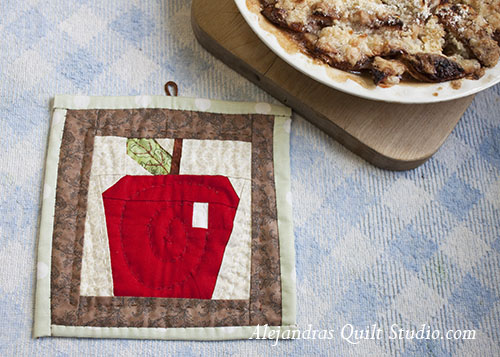 Apple, paper piecing pattern to make a potholder. September is apple season here in the area where I live, during Fall houses will be cozy to come back after a long day picking apples! I’m happy to share these patterns to be make with easy embroidery stitches with you, all you need is to download the pattern, print it out on a paper and copy it on a cotton fabric, you will find more details on the stitches I use to make each one of them, hope you enjoy make each one of them as much as I did. 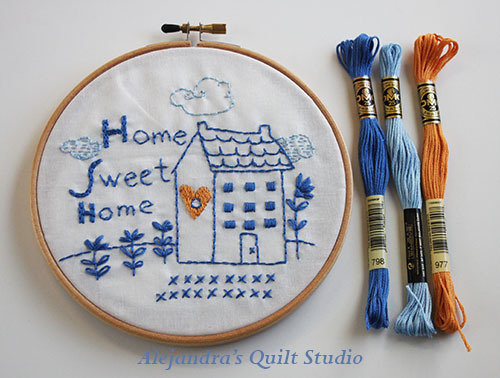 Easy and fun to make, it won’t take you long to finish it, you can add it to a pillow or just frame it on the loop the same way I did. 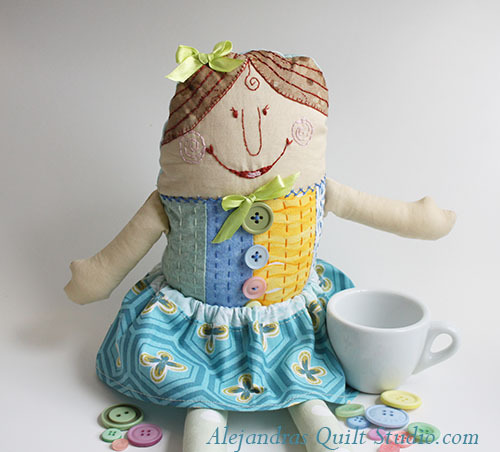 Rag dolls have been the favorites of many young girls, as bags one is never enough!! Easy and fun to make, they are always the perfect gift to give to a young girl and to adults too, they will play and treasure each one of them. You can follow my tutorials to make one or more, you can make them just the way I made them or you can add your personal touches to make your own! 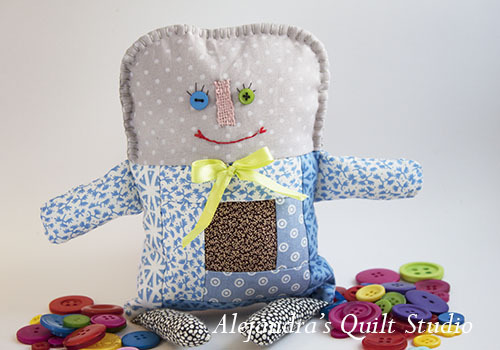 Make this softie, a patchwork doll! Easy to make, you can use one 5 x 5 extra block you kept to make something special! I’m sure once you make one you will want to make a few more to give away on that special day! This rag doll is unique! 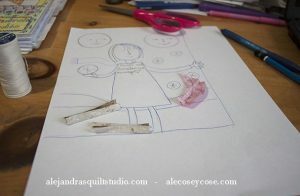 once you finish it Matilda will be the favorite of your young girl, easy to follow tutorial and easy to make. 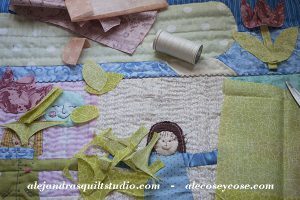 I thank you for your visit, I’m happy you found my Patchwork site, I will continue working on my quilts and I’m sure on your next visit you will find more free patterns to make! OMG! 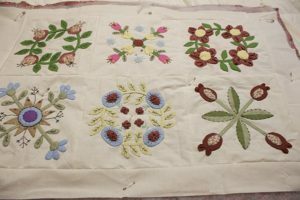 I love the quilts and the various design. This idea is awesome, and it has just opened my mind to it. but according to my knowledge I think sewing has to be learnt first, because you cannot do all of these without learning how to sew,.the Christmas tree quilt is my favourite though. Thanks , this is an awesome idea. 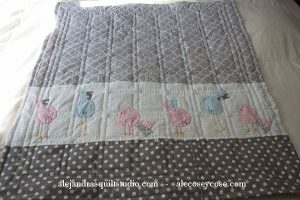 One of the good thing about quilting is anyone can make one! you don’t need to be an expert on sewing to make your first quilt. 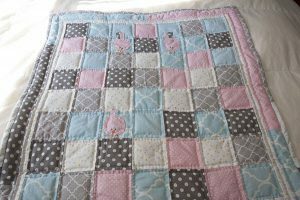 Handmade quilts are easy to make, as you start making your first quilt you’ll be learning how to make it, there are beautiful designs to try for beginners! You’ll be welcome to join the club of quilters anytime!